Contact us by March 31st for a complimentary vasectomy reversal consultation at MFS. Patients travel from around the world for our world class care and sunny coastal location. With Dr. Martin Bastuba you will receive world-class care and unparalleled medical expertise. Dr. Martin Bastuba is the founder and Medical Director of Male Fertility & Sexual Medicine Specialists in San Diego, California. 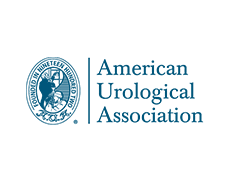 He is part of an elite group (2%) of board certified urologists in the U.S. specializing in treatments and procedures related to male fertility. He has also completed advanced training in male sexual dysfunction, making him exceptionally qualified to perform vasectomy reversals and other specialized procedures for male reproductive health. Patients have travelled from more than 30 countries for his expertise and success rates. My experience with Dr. Bastuba is that of him being very positive from the beginning. He broke everything down and the results after the procedure were great. I would highly recommend him to others. All of my prior research searching for the best doctor pointed to him. Overall, he was very personable, honest and professional. Visit Us in San Diego or La Jolla! 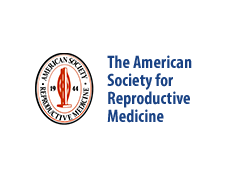 Located in the "American Riviera", Male Fertility & Sexual Medicine Specialists™ (MFS) has welcomed patients from over 30 countries for vasectomy reversal and a range of male infertility treatments. 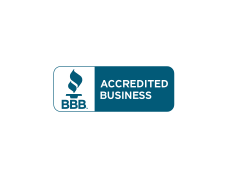 Whether you’re local to San Diego or La Jolla, or from out of town, you’re in expert hands with Dr. Martin Bastuba and the MFS team. San Diego is a world class destination filled with family attractions, fine dining and outdoor activities. We hope that your stay is more than a doctor’s visit, so you can explore all that San Diego has to offer. Make your family dreams come true, and have the experience of a lifetime. NEW! Is a vasectomy reversal right for me? Get to know Dr. Martin Bastuba, leading male fertility specialist, trained urologist and experienced microsurgeon. We’ve answered your top FAQs about the vasectomy reversal procedure, including whether you’ve waited too long since your original vasectomy and what makes a reversal successful. Effective treatment for Peyronie’s disease is possible, and you can visit our team for Xiaflex therapy to end painful symptoms. Read patient testimonials: "My wife and I want to thank you so much!! On the 14th of this month, we had our second beautiful baby girl." Learn how you can make conversations about male infertility easier! Male Fertility & Sexual Medicine Specialists (MFS), located in San Diego, California, was founded by Dr. Martin Bastuba to help patients overcome male factor infertility and sexual dysfunction. A board certified urologist, he is part of the elite two percent of urologists that specializes in male fertility. Dr. Bastuba offers advanced reproductive testing and treatments at MFS. Some of these include varicocele repair, vasectomy reversal, vasectomy, genetic testing, SCSA testing, spinal cord fertility care, treatments for erectile dysfunction or impotence, Peyronie's disease, prostate therapy (prolieve), male hormone replacement, testicular mapping and more. 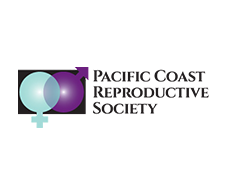 With excellent male fertility success rates, patients from around the world and local patients from California, Southern California, Arizona, Nevada and Mexico seek our reproductive expertise. Often times couples that are considering IVF come to MFS and discover alternative methods of conception that are more affordable. In some cases IVF may be the best option, however IVF is a procedure that has exorbitant costs and contains the risks of multiple pregnancies. There are affordable and effective alternatives available such as vasectomy reversal, artificial insemination and additional male fertility treatments. Visitors find our site using the terms vasectomy reversal, low sperm count, cause of infertility, IVF risks, sperm retrieval, male infertility, vasectomy, Peyronie's Disease, Martin Bastuba, erectile dysfunction, impotence, penile implant, male sexual dysfunction, urology and more.